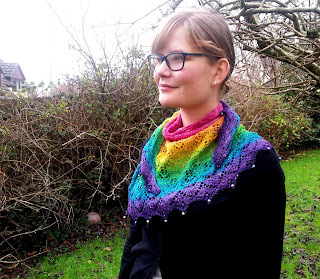 Yesterday I published a new pattern, La Manga which is the first pattern in a new collection. I've been wanting to work on this collection for a while now and I'm so thrilled I finally had time to put my vision into action. 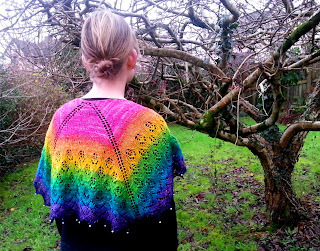 When I attend shows and teach workshops, I get a lot of knitters tell me that they love my lace shawls but they don't wear shawls. So I've been working on ideas for simple lace garments that use basic shawl shapes. La Manga is easily converted from a scarf or a shawl to a shrug by two cleverly placed buttons. 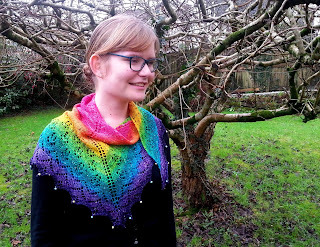 This version is knitted in one 100g skein of sock yarn from Fab Funky Fibres and it fits perfectly on Emily who's a tall size 12 but it also fits me who's a tall size 20. 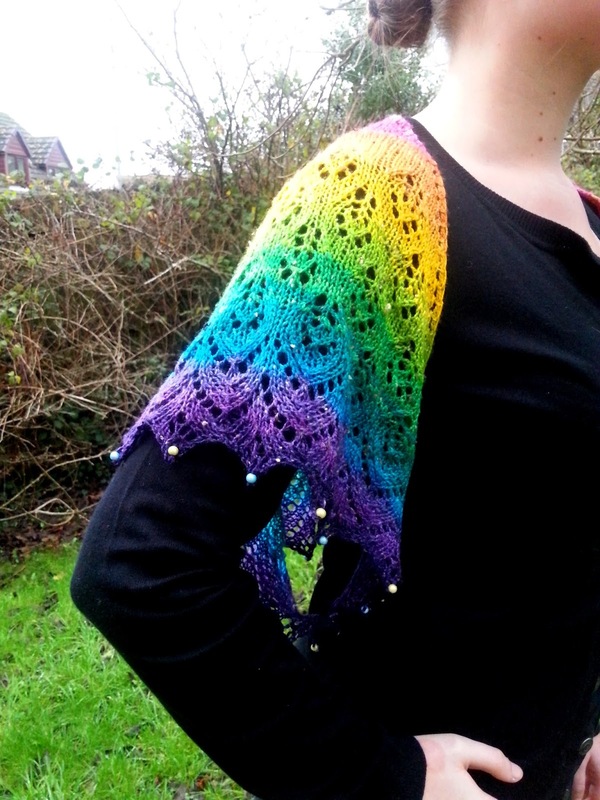 I'm planning to do a Periscope tomorrow morning (Saturday 6th) where I'll be wearing this shrug and I'll do a tutorial on my version of the garter tab cast on. I tried doing this as a Periscope tutorial once before but it wasn't that successful. Now I have a new set up, I'm hoping it'll work better. If you miss the live broadcast, you can watch it on Katch later. La Manga is 25% off until 18 February - no coupon code needed. Lace Wear Volume 1 is £5 at the moment. Each time a new pattern is published the price will increase by £2. There will be six patterns in total and the final price will be £15. If you're in the EU, your local VAT rate will be added to the purchase price - this is outside of my control and will be paid to your country's government. 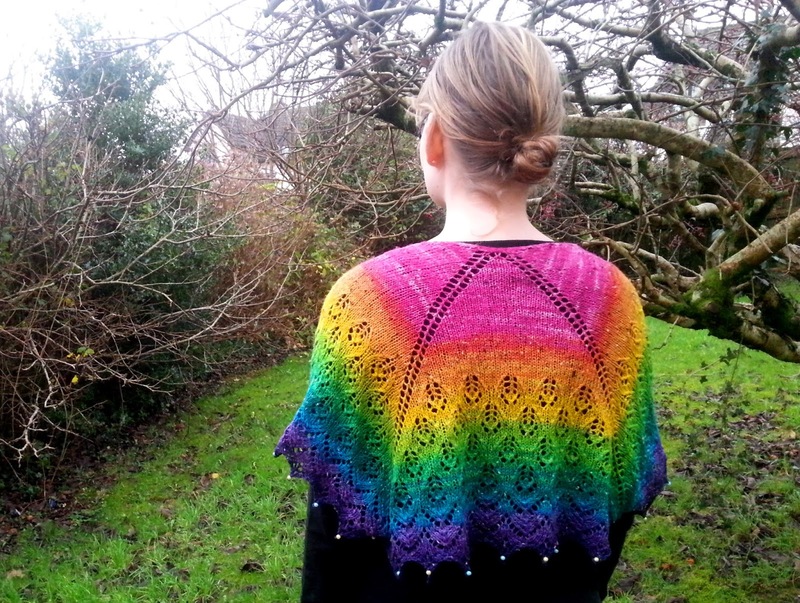 I've got a version of La Manga knitted in Zauberball which came back from my sample knitter today. I'll be blocking it later and hopefully get it photographed over the weekend (if it stays dry). 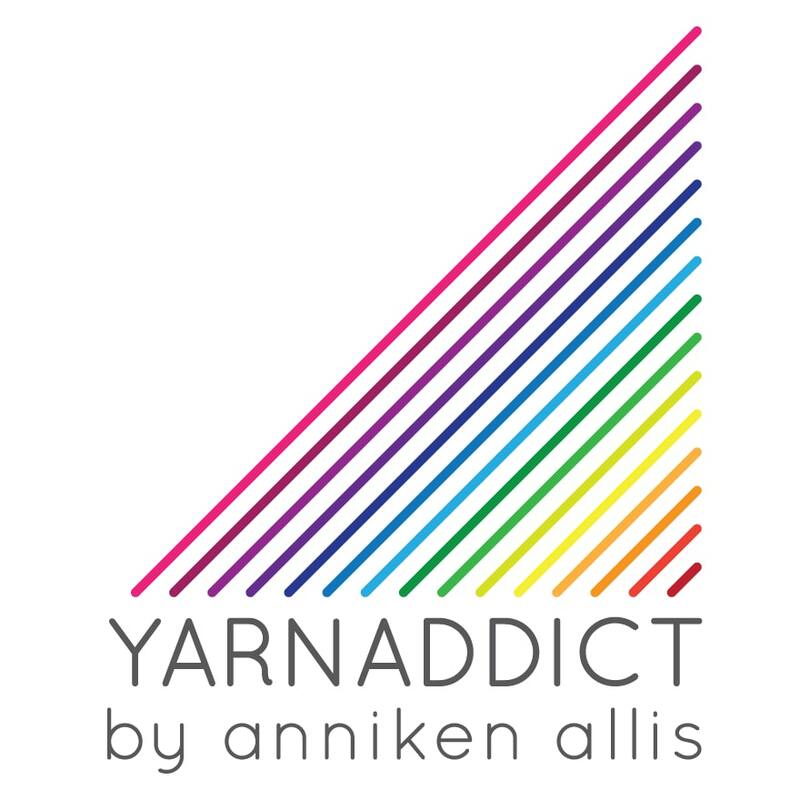 Any sock yarn will work for this design, just make sure you have around 400m per 100g skein. I've added miracle beads on the final row. Other types of beads, including seed beads, can be substituted. The beads are added using the crochet hook method. If you're new to this technique, watch my video tutorial. Have a wonderful weekend! I'll be doing a bit of work this weekend and preparing for my trip to London and Artesano Academy in Berkshire next week (I'll be there teaching Lace Improvers, Selbu Mittens and Fair Isle/Steeking) as well as spending some time with Emily and of course, knitting.